This was up in Canada. Sometimes the LORD’s ways are different than the ways we want it. We would want all men to believe there is a God who will judge those on earth (Hence, the need for the Gospel). There is a coming day which he shows Himself in such a manner that all will no longer deny it. It is shown in a way that sinners might not necessarily like. 1Do you indeed speak righteousness, O [a]gods? Do you (A)judge [b]uprightly, O sons of men? On earth you (C)weigh out the violence of your hands. These who speak lies (E)go astray from birth. Or a skillful caster of spells. When he (K)aims his arrows, let them be as headless shafts. Like the (L)miscarriages of a woman which never see the sun. He will (N)sweep them away with a whirlwind, the green and the burning alike. He will (Q)wash his feet in the blood of the wicked. This clip is making its round in various Christian blogs and I thought I post this too. It makes me emotional thinking about the fact that the truth of God is being sang and you wonder if people understand and accept it. There is an inspiring and emotional testimony from a young North Korean student, live from the Third Lausanne Congress on World Evangelism in Cape Town. James M. Grier is an example of a Presuppositionalist (Van Tillian) coming from a Dispensationalist’s background (see here for another example). 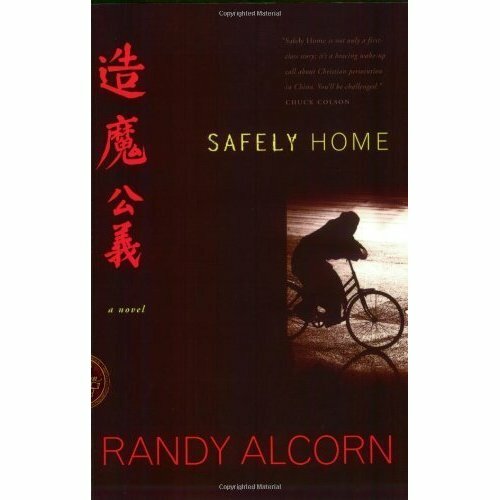 The book is titled “Safely Home”, a book which Randy Alcorn has written written this 416 page work back in 2001, but today it is for free on Kindle! CLICK HERE FOR THE LINK TO AMAZON! Thanks goes to Brian Auten from Apologetics315!